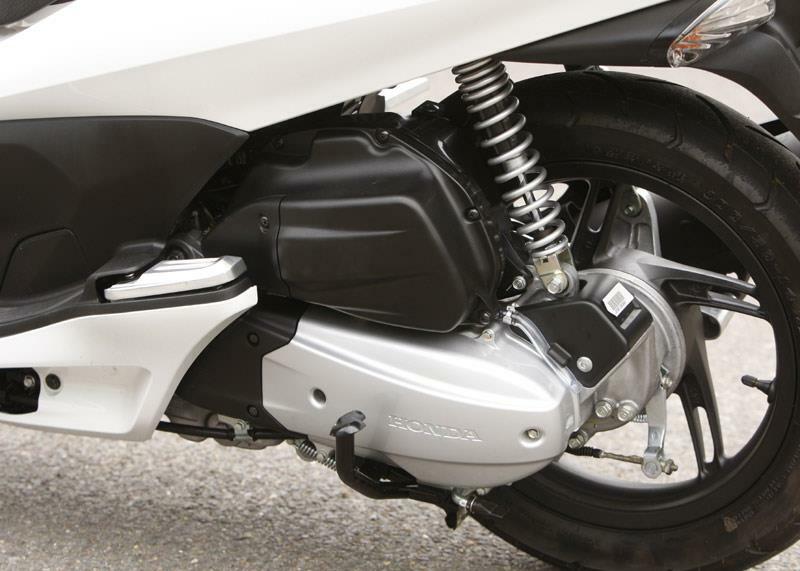 The new Honda PCX125 scooter is the first ever two-wheeler to feature a fuel-saving idle stop system. 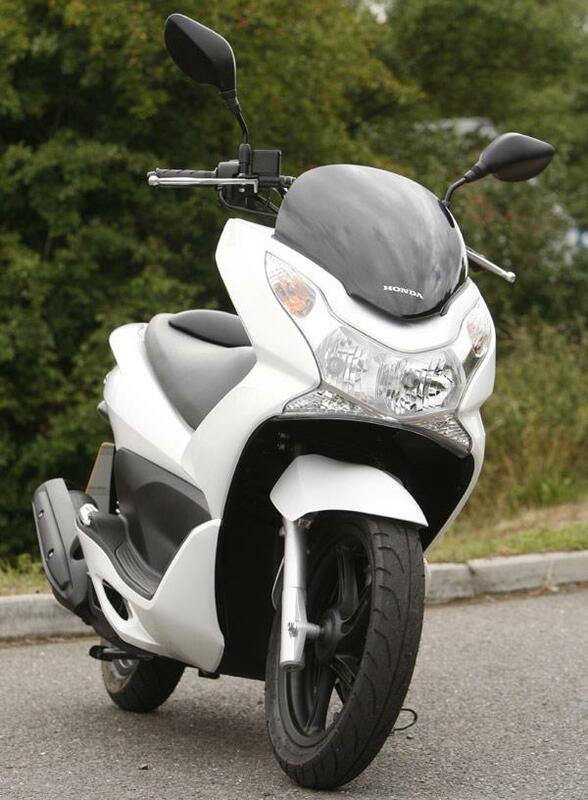 Whether you think it’s a gimmick or a revolution, fact is the PCX125 is a brilliant little scooter in its own right and ticks all the boxes in terms of style, performance and practicality. 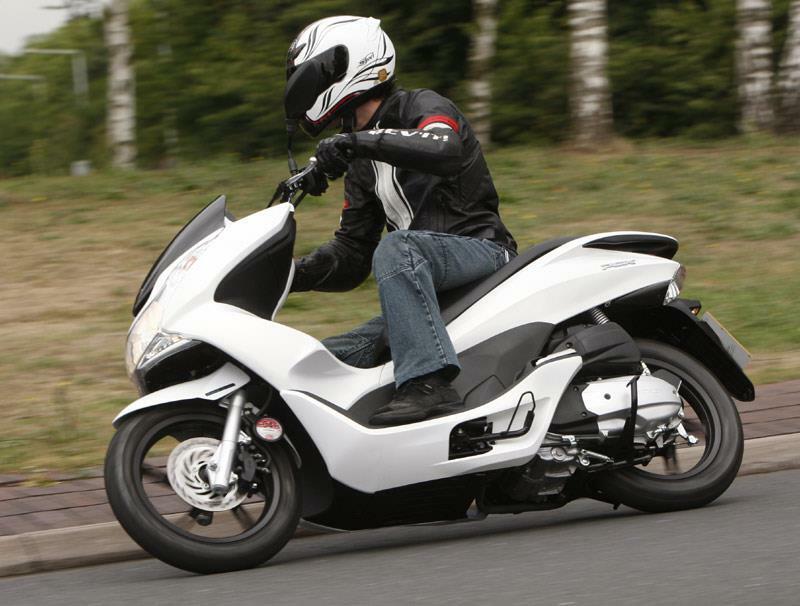 At just 124kg wet the PCX125 is very easy to manoeuvre and the handling is stable and reassuring. It’s fitted with 14inch wheels, which are a nice compromise between the 12” wheels of standard scoots and the 16inchers of big-wheelers. Lack of wind protection from the low-slung bodywork limits comfort on the open road, but it’s clearly intended to be a practical commuter for the stylish and city-bound and in urban areas it excels. Like a lot of modern Hondas the PCX features combined brakes, which do a great job of keeping things balanced under braking and they’re very novice-friendly (at the cost of a little bite). 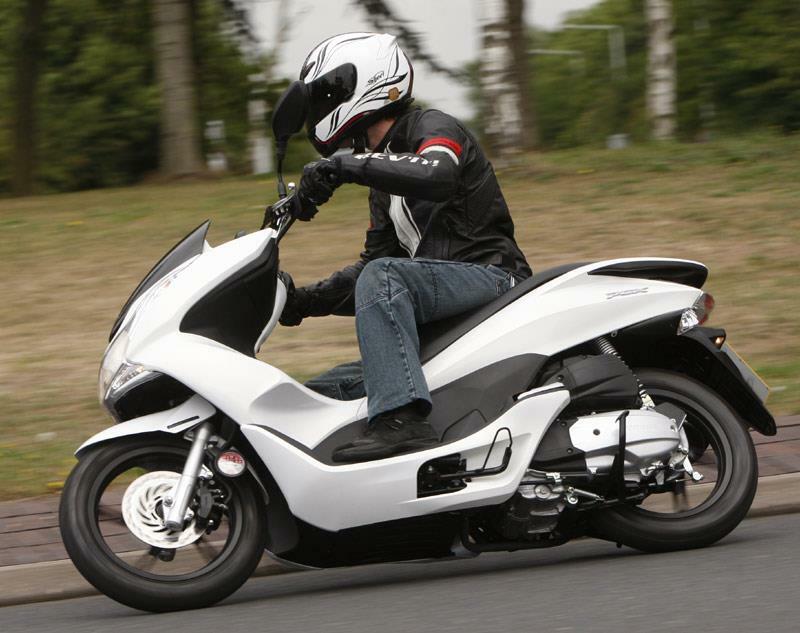 The Honda PCX125 has a liquid-cooled 4-stroke 125cc motor that’s good for 70mph on the clocks, which is pretty quick for a 125 scoot. It zips away from the lights and benefits from a slick and direct throttle response not always found on scooters. Then there’s the stop-start system - pull up to some traffic lights and after three seconds of idling, the engine cuts out. A blinking orange light marked ‘stand by’ (like a DVD player) lets you know that you’re in idle stop mode. 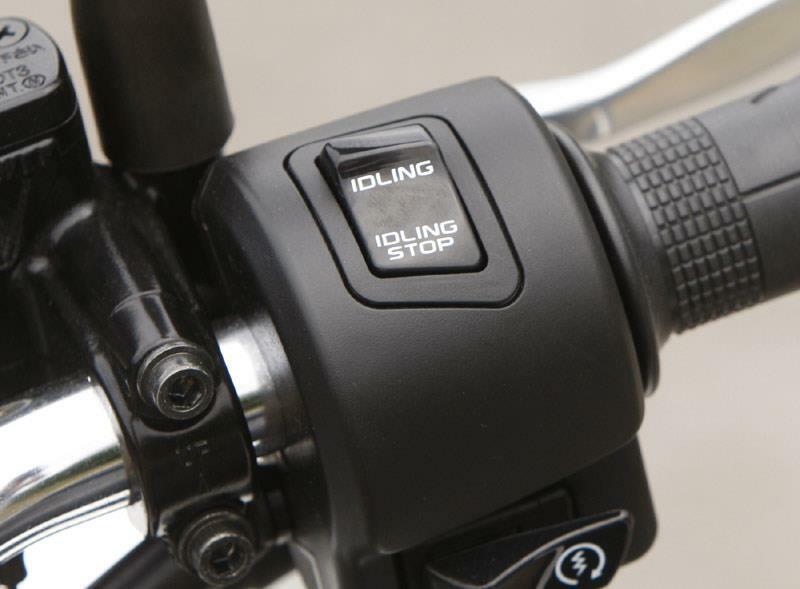 A simple twist of the throttle will fire it back up again with next-to no delay, but it can be turned off via a switch on the bars if you’re not into it. Honda says the system improves fuel efficiency by up to 5%. On a scooter that they claim is capable of 130mpg anyway, that’s hardly going to change the world, but if you are environmentally (or wallet) conscious there’s a warm glow that comes from knowing you’re saving fuel where possible. In terms of build quality and overall presentation the PCX125 is in a different league to some other scooters on the market - to be fair you’d expect no less from Honda. Reliability shouldn’t be an issue and you have the benefit of an established dealer network to fall back on. 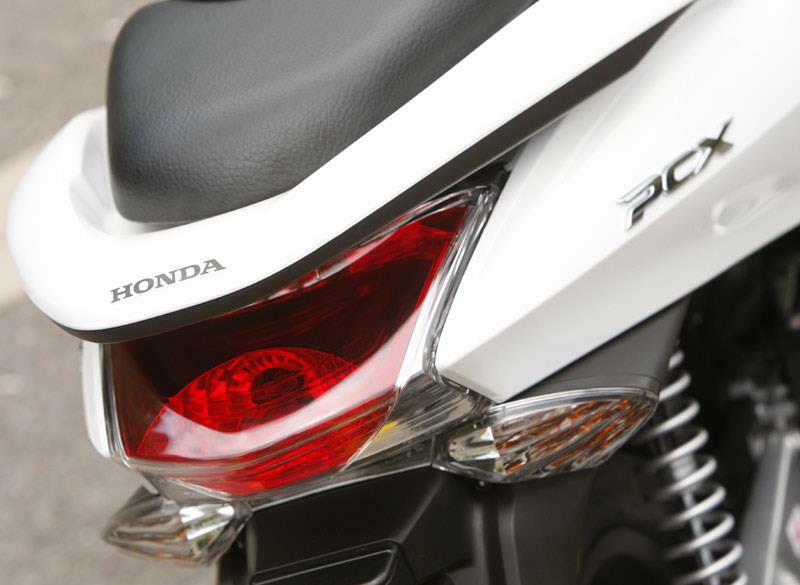 At £2,270, the PCX is competitively priced – Honda’s own PS125i is £2,570, the Yamaha BW’s 125 is £2,499 and neither of those have coffeehouse-kudos stop-start tech. You can get a 125 scooter for cheaper, but the PCX offers something unique in a very solid package. Find a scooter for sale. 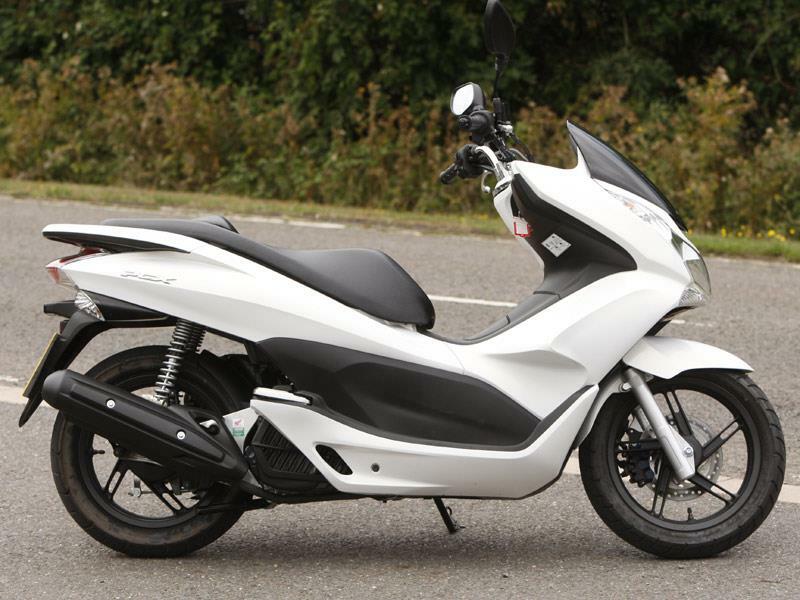 You could be forgiven for thinking the PCX125 looks like it’s more about style than substance, but it does boast practicalities like an underseat storage bay big enough for a full-face lid, rider backrest and a decent-sized cubbyhole on the dash. Despite its small size there’s loads of leg-room too.  Compare and buy parts for the PCX125 in the MCN Shop. 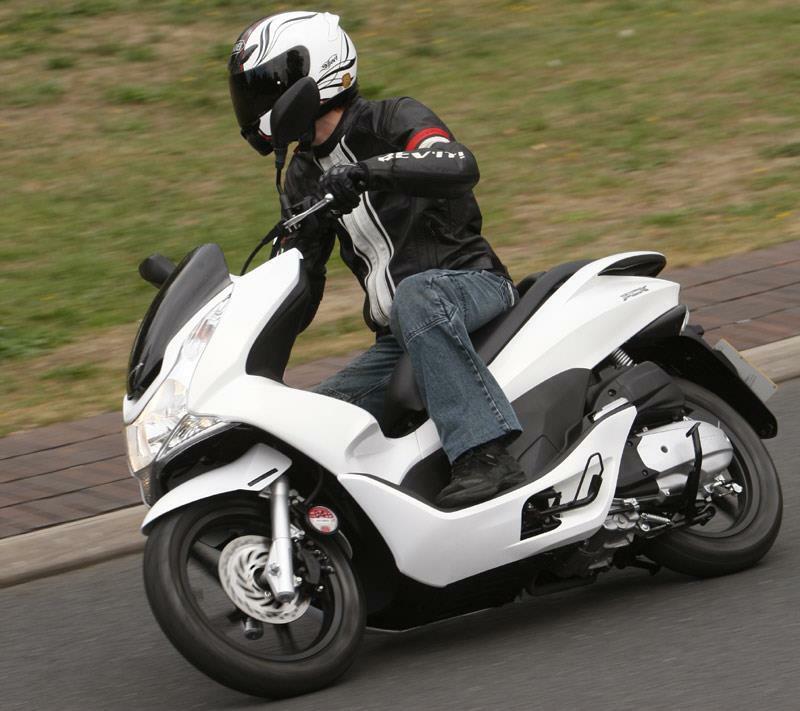 15 owners have reviewed their HONDA PCX125 (2010-on) and rated it in a number of areas. Read what they have to say and what they like and dislike about the bike below. Quick, comfy, practical and good looking what's not to like? Over 120 mpg is fantastic along with £15 a year tax and only £97 for insurance. Comfy seat for me at 5'4". Goes over the bumps OK but does shoot you out of the seat if you hit bumps too hard. It's very easy to gain confidence and get plenty of lean angle early on in your riding experience. Combi brakes are very good although levers don't adjust for reach. Quick enough up to 40 ish then it gets a bit slower. I can't get above 65 on the flat as yet which is my only slight gripe. If it could do another 10 mph it would be perfect. It's a Honda so as reliable as anything. Not let me down so far. Quality is fine but one or two items have corroded quickly. £46 for the first service which is just an oil change I believe. I think tax is £15 but it was in with the cost. Insurance for me (43 first ever bike) is £97. Fuel costs £9 to fill up and I'm getting 125mpg indicated, I've never worked out how accurate it is because why would you? One big dial showing speed, no rev counter. Fuel gauge is handy as is the 12v socket. Stop start is very good. The bike with a taller screen givi screen and 46trl top box, ticks all my commuting needs. I travel in london on the a40 and a406 50 miles a day and get 150 MPG. New 4000 miles service intervals. Bike seems solid but the suspension is rubbish on the non adjustable rear shock. I use this bike for CHEAP commuting. 18 miles each way. I have owned one a year now and covered over 5000 miles. Overall completely satisfied! Never had a problem. I do all the servicing myself it's so simple. It does in fact even tell you how to do it in the owners manual! Servicing is every 2500 miles but it only holds 0.6 litres of oil! I have just replaced the rear tyre at 5k miles £35 for Michelin city grip. Service packs I buy from blackpool Honda at £35 a time. The humped seat can sometimes become uncomfortable but it's not outrageous like some suggest or they would spend £130 on an uprated seat. Again the quality is top notch. I really cant believe how good my buke still looks for how its gets treated. rode in the wet, mud everything. Once cleaned looks new again. 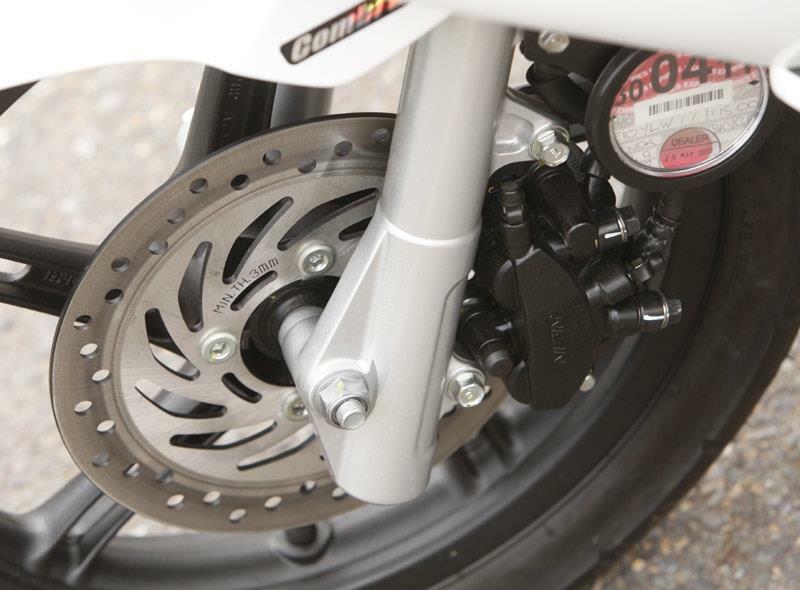 Brakes are very good for the bike. Nothing amazing conpared to bigger bikes but its not. More then adequate! Mine is kept outside with a cover. No paint fade and all the bolt ends are still shiny silver. The exhaust is starting to rust slightly but again so simple to replace. Everything else when cleaned looks new. Not bad for a bike that is completely abused! I can't give it a 5 star in equipment purely as it has no CLOCK and no 12volt socket. Other then that the space under the seat is great and mines also got a top box. weather protection is very good. Mine was second hand. A year old with 452 miles in which I only paid £1700 for so very pleased. My wave 110 was in for a service so I had this as a courtesy bike for 50 miles. I agree with the other reviews. It holds a steady 60 so I would say its quite a reasonable dual carriageway tool plus the brakes and lights are good. The cautions I would give are that at 6ft I felt too big for it and the buffeting at speed was slightly worrying. The bike had a tall accessory windshield and I think thats what was causing the weaving which is a pity because otherwise it was zippy and a credible A, B road commuter. First of all - two things I don't like: there's no kick start and the seat needs to be thumped really hard to make it engage with the catch. The sales guy drew my attention to this before I bought the scooter. So it's unlikely that I've got a Friday one. Then again, maybe I have. Who knows? Otherwise Honda's PCX125 is pretty much what the doctor ordered, though that engine cut-out thingy is a bit of a gimmick in my view. For the first few miles it had a habit of stopping the engine just when I needed to get going. So I switched it to 'idle' and it's been like that ever since. Fuel consumption is between 120-130mpg. But I am fairly light and don't go very fast - 50mph mostly. I have had it up to sixty for short bursts and it was eager to go faster. But 60 was breezy enough for me. The scooter is very refined, quiet and easy to ride. You think you're sitting on something that's cost a lot more. Although PCX125 suits me fine perhaps someone who uses it every day for commuting would need a bit more top-end speed for keeping up with the other traffic on dual-carriageways. But if that's the case, then maybe that person needs to think about buying a larger bike - a 250 probably. Whereas PCX125 is great for what it is. So, 'highly recommended'. The handling is exceptionally good compared to other scooters. 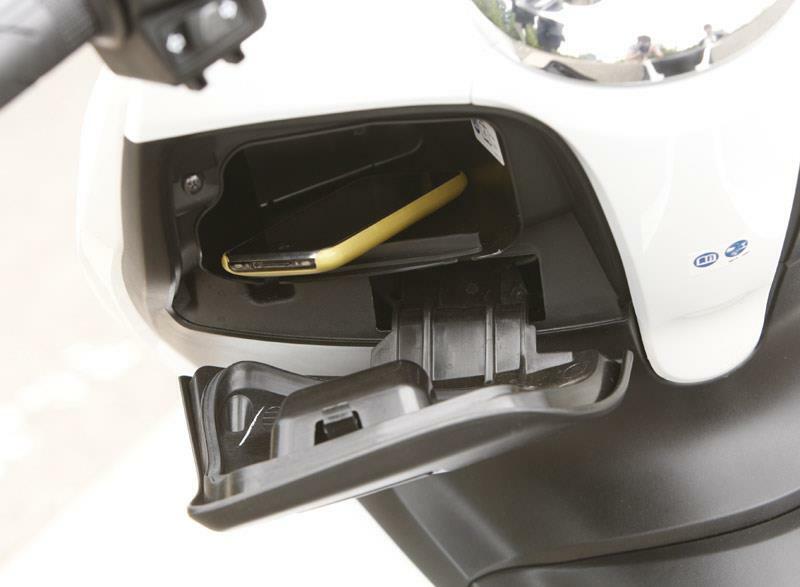 It also scores highly on underseat storage. I am very pleased with it but there are the following points to consider: 1. The 14" wheels may be too small and thin for bumpy roads; 2. No kill switch; 3. No clock; 4. No kick start; 5. The screen is purely for aesthetic purposes; 6. The stop/start feature is, in my opinion, no more than a gimmick. It always seems to switch off just when you need to move away. 7. No convenient flat foot-board; 8. The fuel tank is very small but range is acceptable. 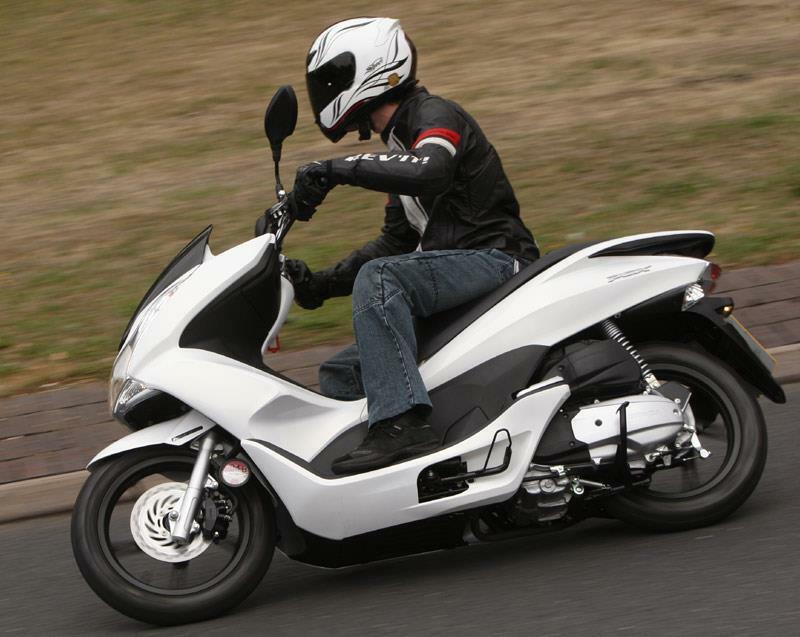 I changed from a Suzuki VL 125 Intruder cruiser to the PCX and it was the best move I ever made. Amazing little bike. Handles well, it's nippy, so easy to operate and has loads of space, especially with an added Givi box. Smooth, quiet engine has plenty of grunt to get you off at the lights and it'll easily keep up with dual carriageway traffic. The only thing I'd change (in fact I have) is a different seat without the midway hump. It's uncomfortable for taller riders. Other than that, I can't recommend it enough.The engine even cuts out at the lights – how cool is that? After the motorcycle with it's jerky gears, awkward clutch, jerky throttle, oily chain, hot exhaust and bunjee rubber malarky for the shopping, this bike's a breeze. In fact I've come to the decision that motorbikes per se are a waste of time and still stuck in the dark ages when compared to cars. This scooter is closest to a car on two wheels. Normally a big bike rider, I was a little worried the PCX would be too underpowered and lacking in fun for my liking. How wrong I was.. 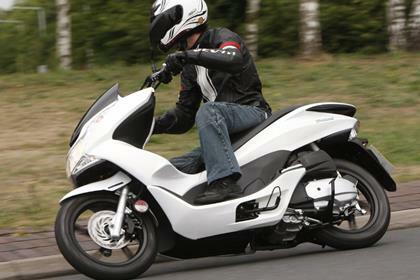 The PCX is a right laugh for blasting about town, it has enough sprint to see most four wheeled motors off the lights and enough grip to spark up the center stand on the bends. 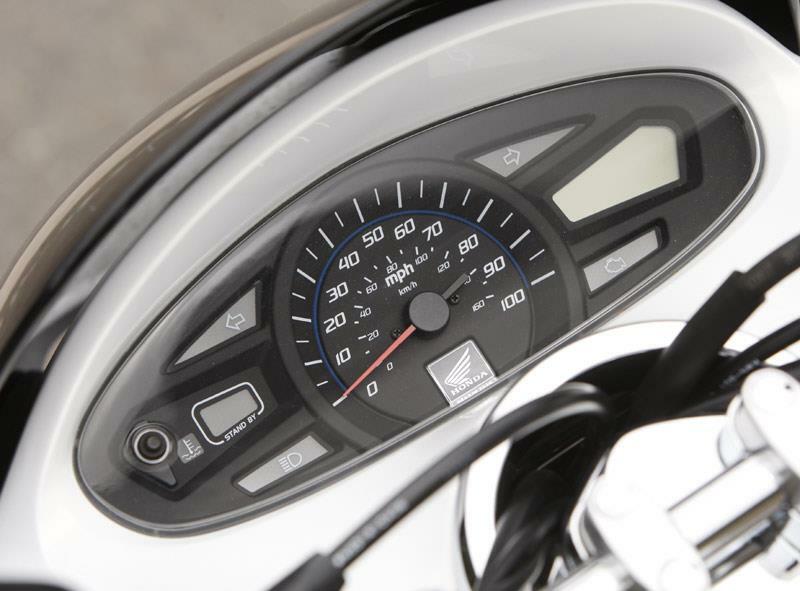 If I had to find one issue with the PCX, it would be the lack of top end speed. It could do with an extra 5-10 mph, just to keep up with modern traffic on a duel carriageway. Although these bikes retail at around £2500 from most Honda dealers, I found mine at 'The BikeShop' in Long Eaton (very good helpful guy's) for £1999 with 400 miles on the clock. Saving £500, and they even serviced it in the deal. So overall the PCX is a cool looking, zippy, eco friendly scooter that I am happy to own. I use the PCX for commuting. 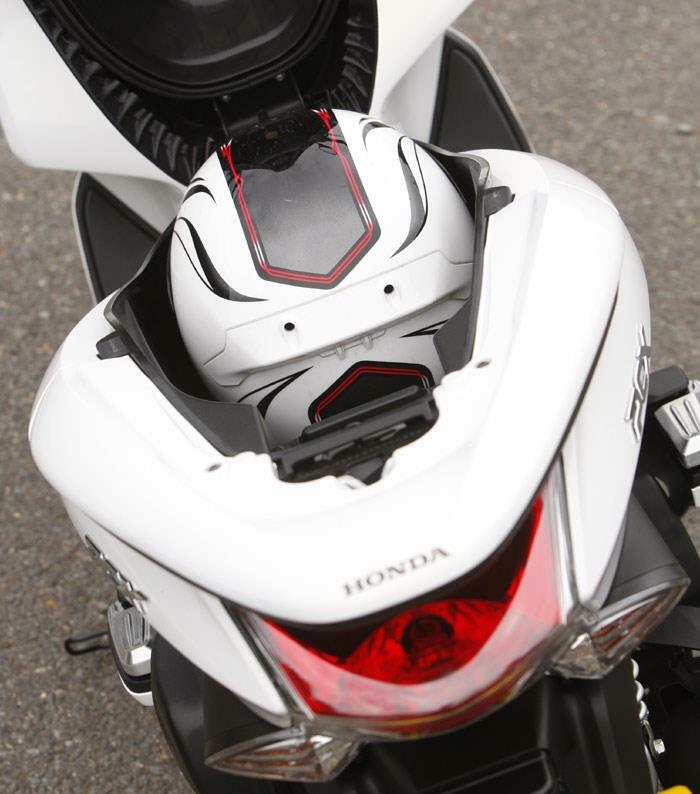 I am a new rider and really enjoy it. The stop/start is instant when you twist the throttle. The underseat storage is good and will take my wet gear, along with some clothing and a large packed lunch. I am over 6 foot and the bike easily carries me along. Two up its a bit of a squeeze but my wife and I have happily cruised up Cornish hills though a run at it is necessary to keep up with the traffic. I will cruise at 60mph but 65mph is the top end. The best mpg I have had is 114mpg, the worst 100mpg. My regular commute is along a dual carriageway with a limit of 70 and I feel okay. So far I have done 1000 miles, so yearly service should just about be okay. First service at 600 miles was £70. A good bit of kit so far. 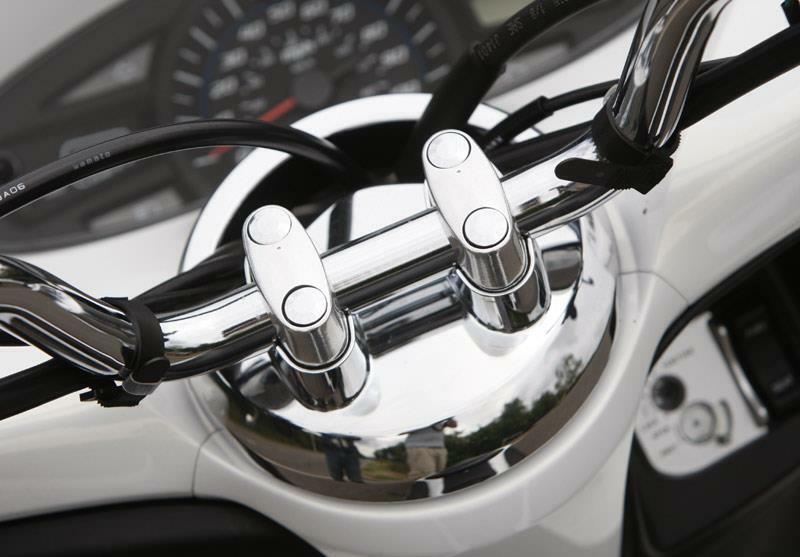 No 12v socket, no handlebar mounted kill switch, light switch or pass switch, no clock, motor could be bigger. A cracking scooter though, I'm delighted with mine and can recommend it. An instant classic. Just got one of these and I'm very pleased with it. It has very good acceleration and the combined breaks stop it very well in all conditions including in the wet. The 14" wheels make it very flickable.